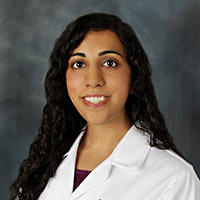 Dr. Sheena Kamra is a Southern California native. She earned a Bachelors of Science in Neuroscience from UCLA and continued on at UCLA’s David Geffen School of Medicine for medical school and stayed at UCLA to complete her residency in Pediatrics. Dr. Kamra is trained in urgent and preventive care for newborns, children and adolescents as well as the management of chronic health conditions. She is particularly interested in nutrition and promoting healthy lifestyles. Apart from practicing pediatrics, she enjoys reading, spending time outdoors and traveling.